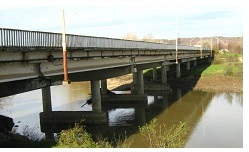 NatPress editorship got a letter from an inhabitant of Teuchezhsky area of Adygeya about the long-drawn-out reconstruction of the bridge over Psekups river on the basic route passing in the area. In that place above the river two bridges were constructed, and earlier on each of them the one-way traffic was carried out. Now the second bridge is completely closed for any transport, as on the first one it is organized, let’s say, a «regulated» traffic. I think if it goes further the same way then such «announcements» will soon become a daily norm. Recently «United Russia» («UR») had taken the so-called rating voting inside the party - for definition of «the best» party members for political struggle for the State Duma mandates. I look at the resultd and see - the first in the list is Murat Kumpilov, the second - is the deputy of the State Duma, «UR» member from Republic of Dagestan Rizvangadji Isaev. This essay is addressed to readers of all nationalities, and its purpose is to explain the «Circassian Question» in the North Caucasus of the Russian Federation; how it arose, and; how we can help to solve it. There is an uncomfortable fact facing the Russian Federation today. Despite interactions between Circassians and other peoples in the modern, multi-national Russian Federation, many find themselves at a loss to explain how the present conditions in the North Caucasus arose, or what can be done about it. Hello friends. Wishing you all all the best & all of you are well in the world where you live. I recieved a news today that I am so saddened, I want to share it with you, and please LOOK-UP FOR YAGAN IBRAHIM on the net to STAY CONNECTED to help the good to survive... We wish Yaghan Ibrahim, our kind and gentleman brother to recover from his injuries soon and THA be WITH HIM ALWASY. & Give wisdom to the agressive souls who are used for whatever reason may be. Circassian Genocide: Who will be the next? This silence was suddenly broken in the capital of the Republic of Adygea. It was reported that on May 29th, at the initiative of Kabardino-Balkarian public organization "Khase" Ibrahim Yaganov a meeting of the coordinating board of non-governmental Circassian organizations was held in Maikop. A main theme of the meeting was the question of repatriation of Circassians and need to assist in this process. Valerie Polevoi was appointed to a post of an authorized representative of Adygeya under the president of Russia . Previously, he hold a position of deputy. Past three years, Permanent Mission was headed by Murat Hapsirokov who in the recent election was elected to the State Council-Khasa and now can not hold a post in the executive branch agency of the government: "I would like to thank Hapsirokov on behalf of the executive branch agency for magnificently performing his duties". 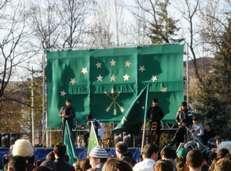 The Festival of the Circassian flag today has brought in Maikop a lot of late spring greenery and freshness. As it had been envisaged in the scenario, a string of cars with two or three flags in each drove into the capital of Adygeya from two directions - west and east - in the street Hakurate. And from north to south - from the station to the main square horsemen marched. It has been nowhere around the square to park the car. Many vehicles has been not alighted, gone to travel through the streets, letting people know with honks of the festival. April 30 at the Black Sea Shapsugiya will pass Congress of Public Parliament - "Adyghe Khasa.'' If the information provided is correct, then the main agenda of the meeting will be on the form of participation of Circassians in the Olympics Sochi 2014. As a result, may be followed by a change of chapter, charter, structure, programs for further development. I am a Circassian of Kabardian tribe, can not remain aloof from the events, the outcome of which may affect the further development our people.